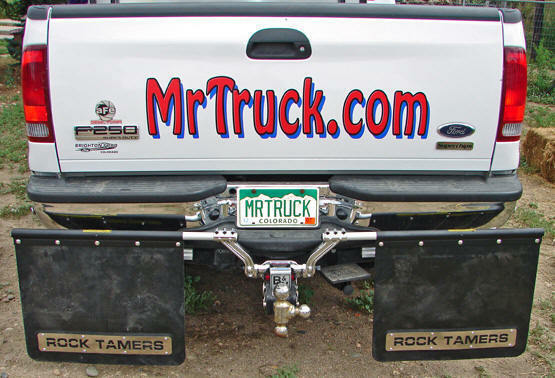 "Truck Mudflaps,Adjustable Truck and SUV Mudflaps,Mud Flaps, Mud Guards, Splash Guards, Truck Mud Flaps,receiver hitch mudflaps,ENKAY Rock Tamers protect your trailer and boat and paint and wiring from your truck." 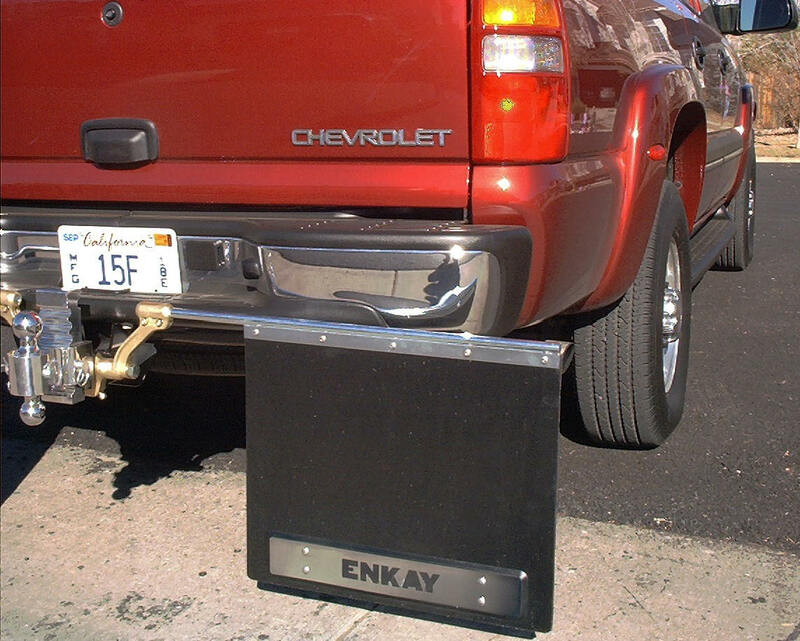 ENKAY Rock Tamers, more than Mudflaps! Your Grandkids can use these on their trucks! Order your last set of mudflaps below . 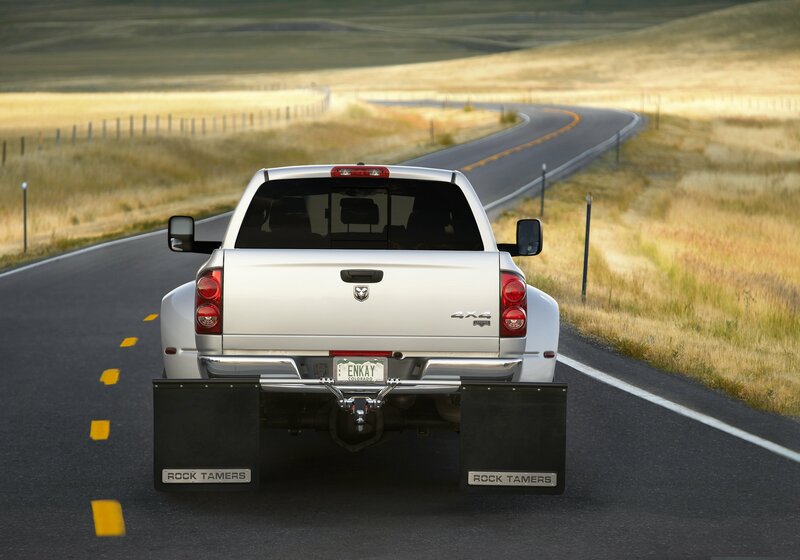 Great mudflaps that come off in seconds when you don't need them. 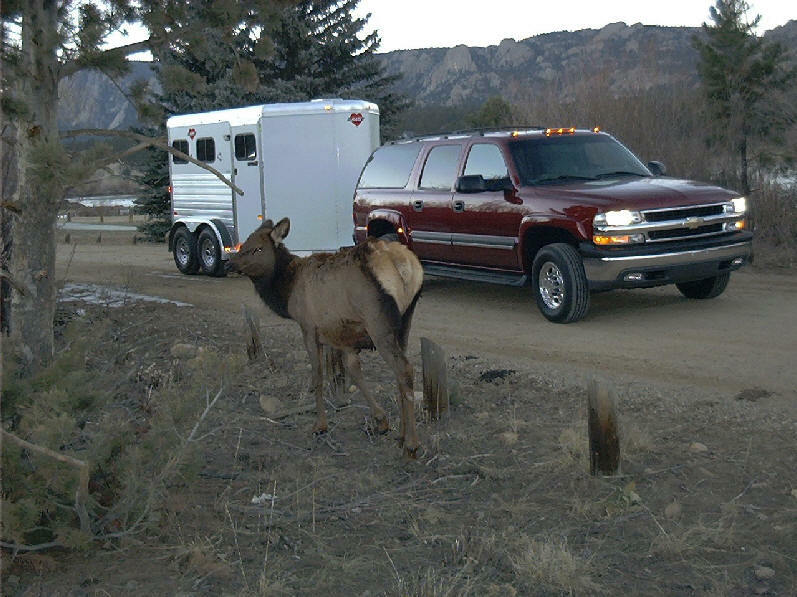 That will help with fuel mileage. 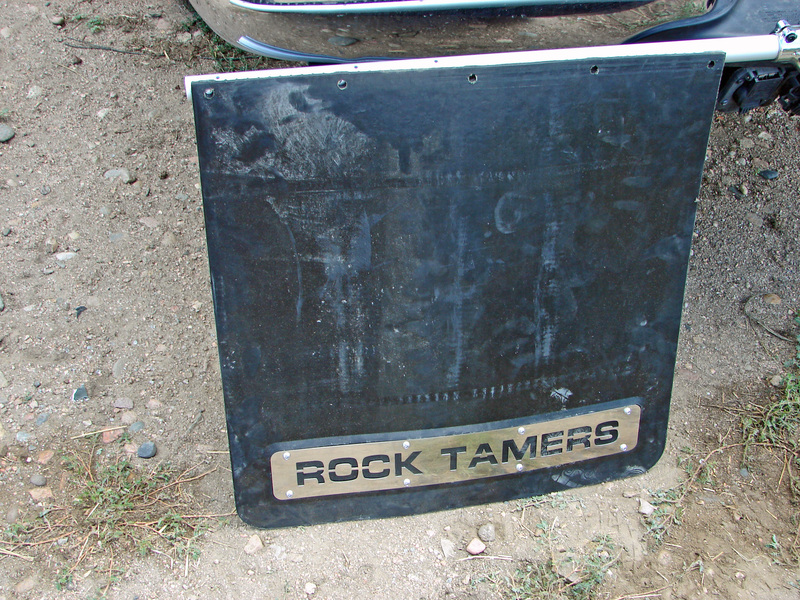 Rock Tamers are stiff and stay pointed down to do their job but that means when you use them they have some wind resistance. 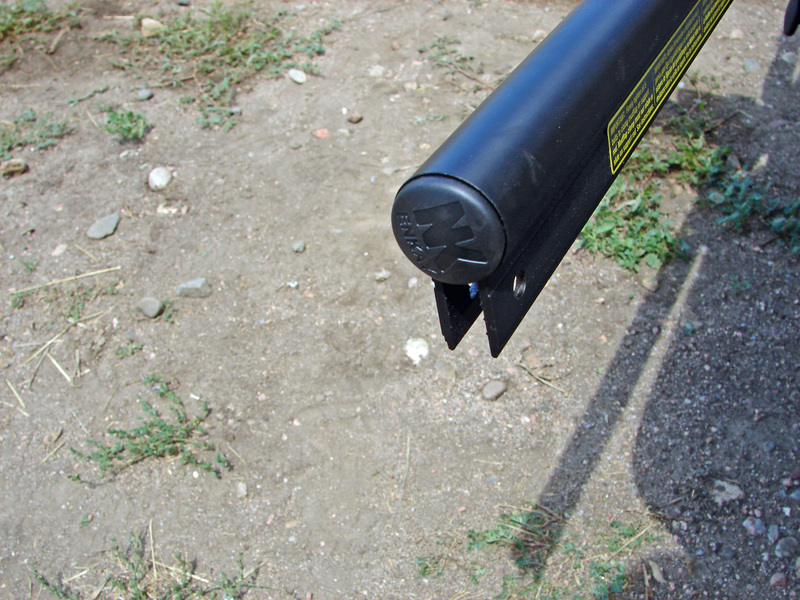 Pull the pin and they slide off with your receiver drawbar. Then no one will bump their shins on the ball and you save fuel. Black only, the yoke fits 2 inch drawbar stingers. 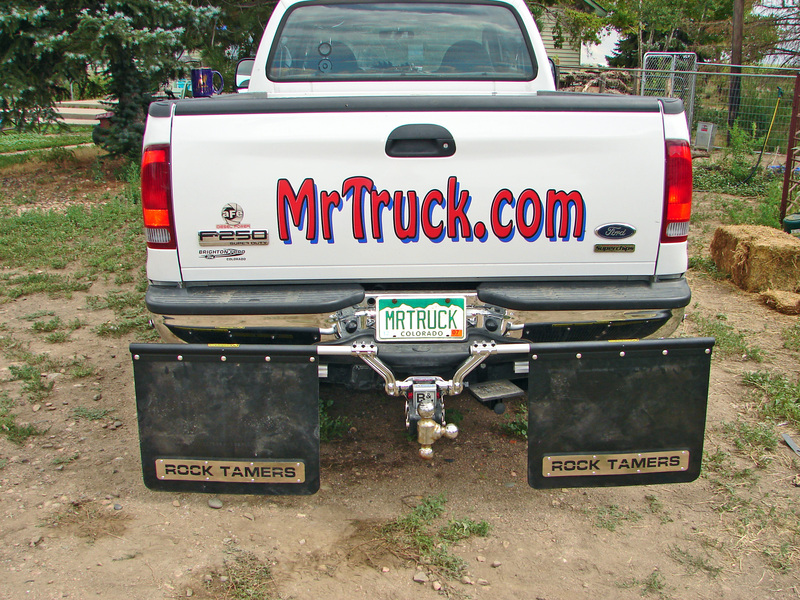 The drawbar that attaches to your trucks receiver hitch. 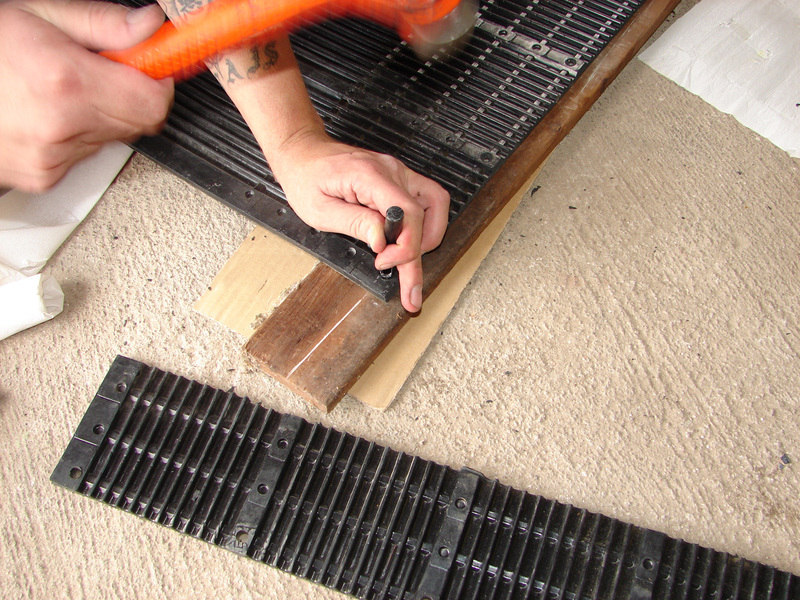 Everything you need for installation including a hole punch for the template height adjustment holes. 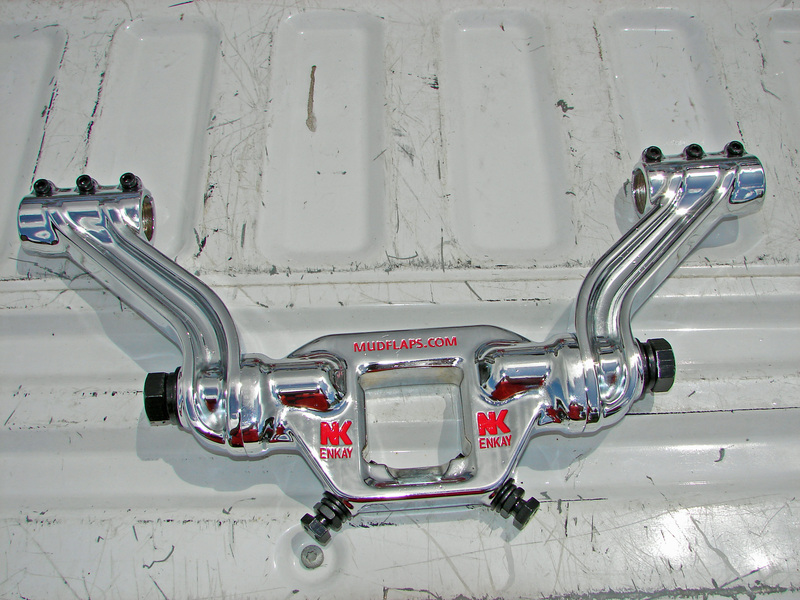 Start your install with the chrome plated yoke on your 2" ball drawbar. Add the stainless steel plates on the flaps. 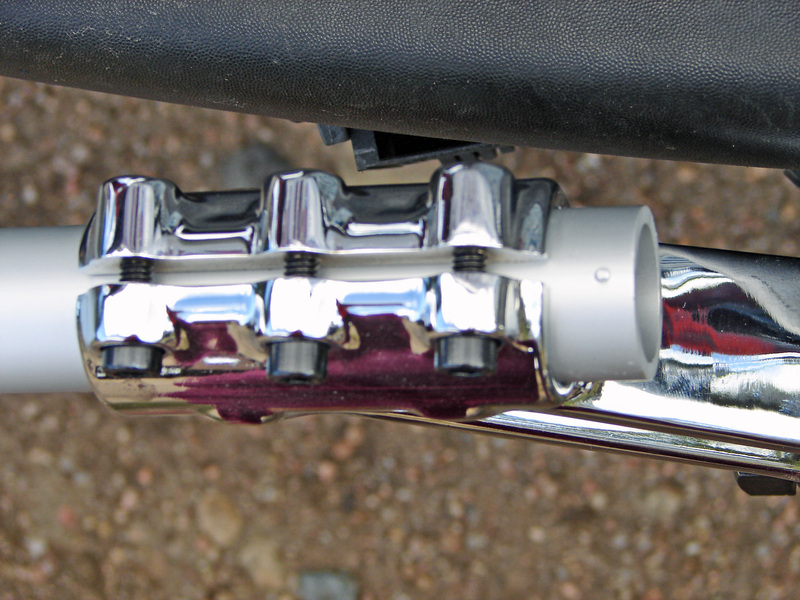 Yoke has three set bolts to clamp the aluminum tube. The bump on the end is rotated to the side and keeps the tube from pulling out. 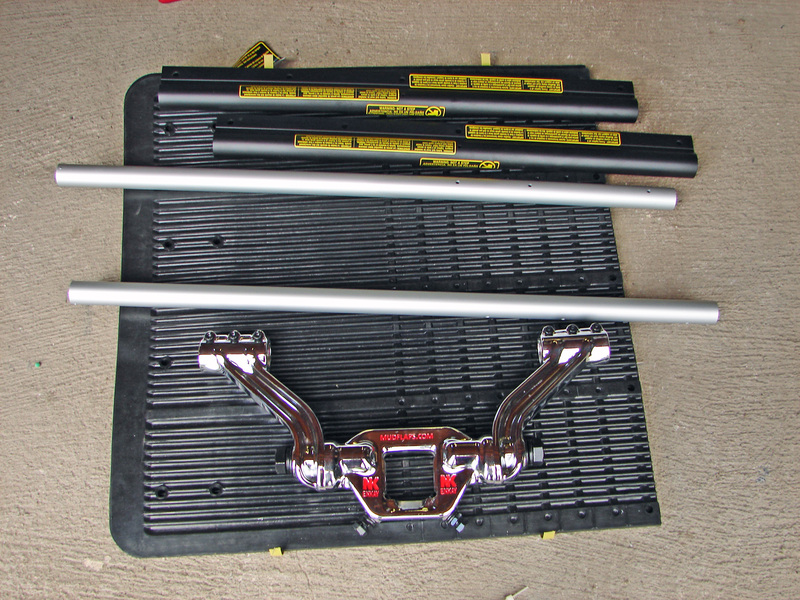 Heavy tube aluminum supports the mudflaps. Yoke and tubes ready for flaps. 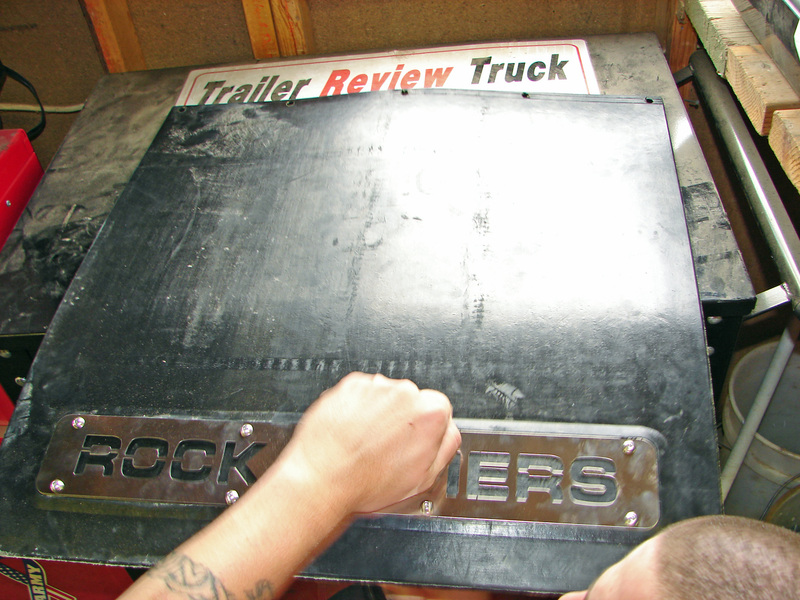 Just size the mudflaps to what length you need and cut the template lines and holes. No drilling. 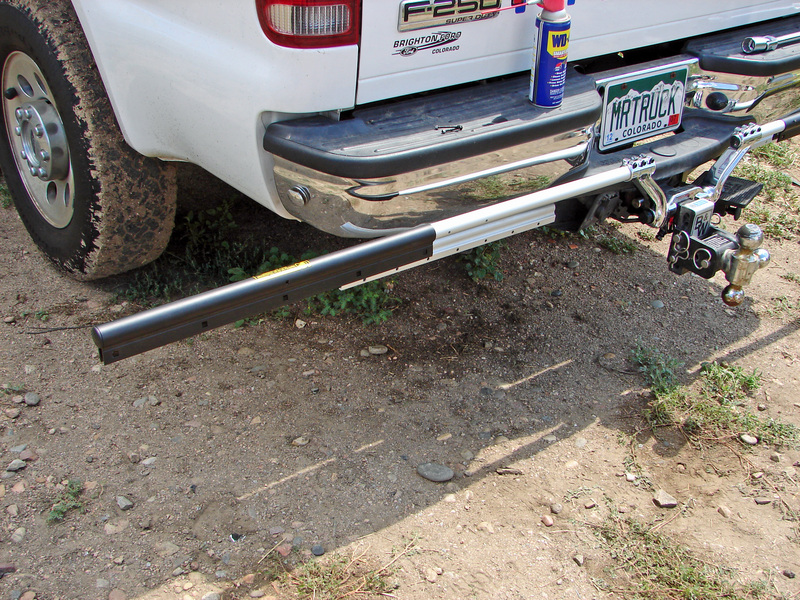 Sleeve slides over pipe for adjustment from 66.75" to 93.75" for compact trucks to duallies. 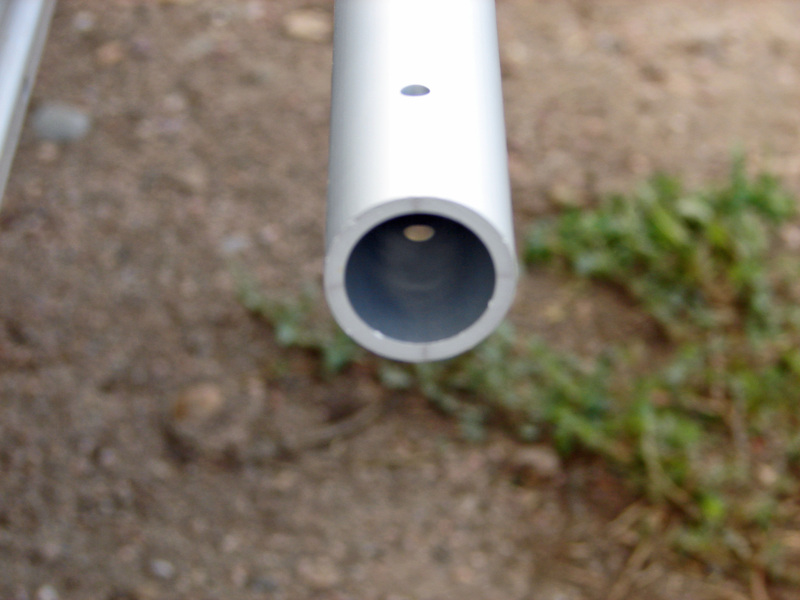 Plastic protective caps on each end of the aluminum tube. I wish I'd invented them. 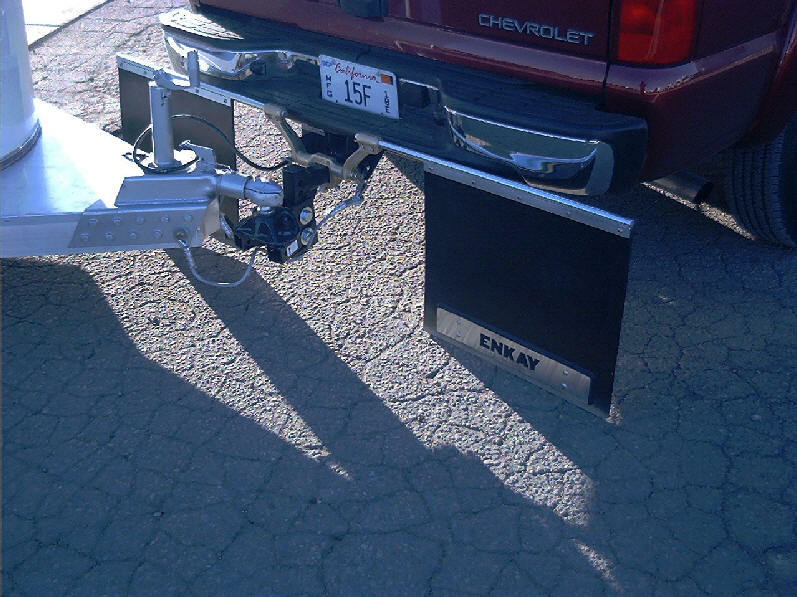 They are so adjustable, they will fit anything with a receiver hitch with a two inch stinger. 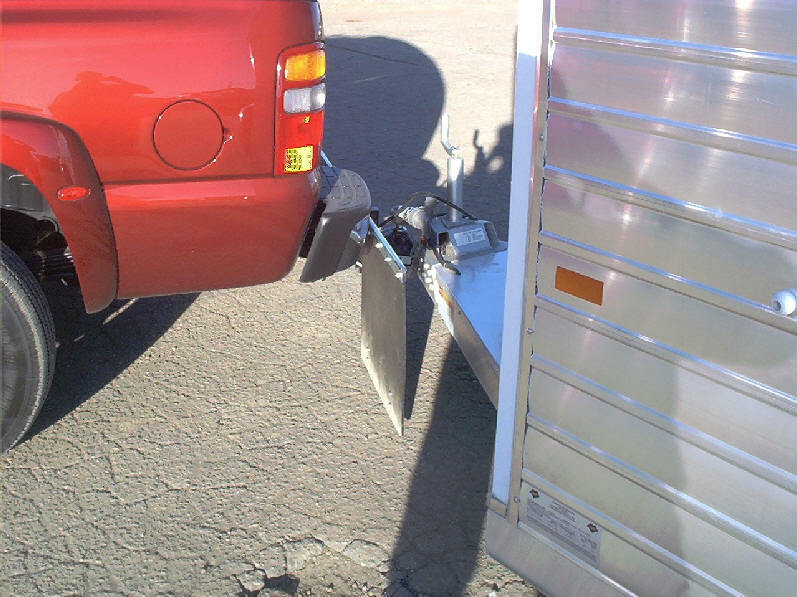 And when you aren't pulling a trailer, they just slide off if you want them off. All the materials are top notch quality. It's not that often you can find accessories made this well. 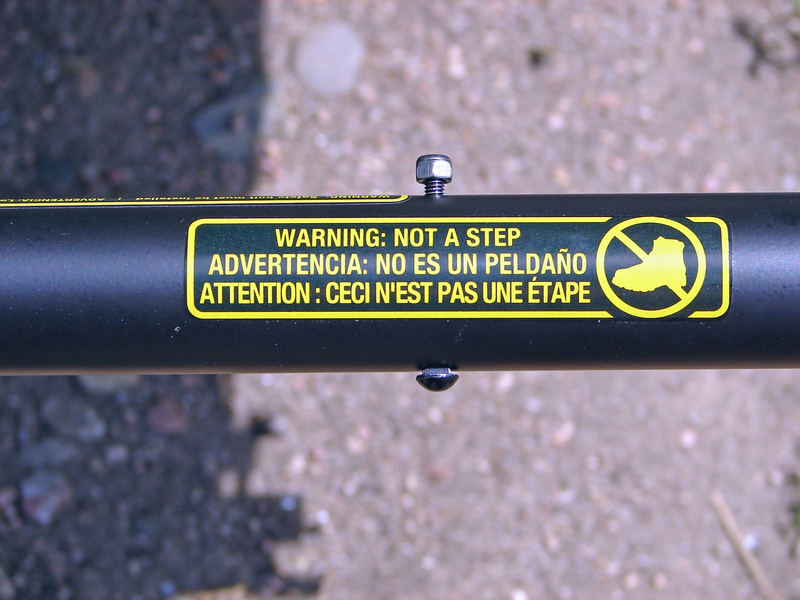 They are made in Colorado, just like me. 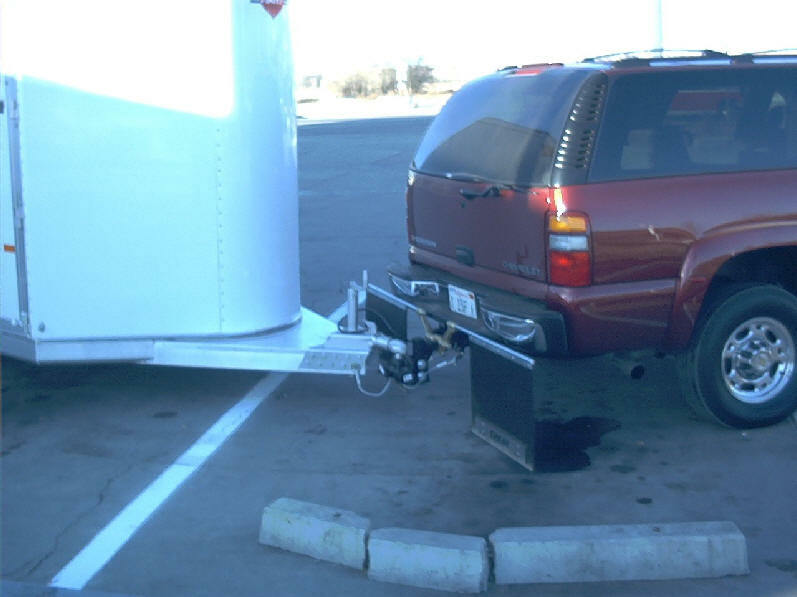 Truck and SUV adjustable mudflaps. 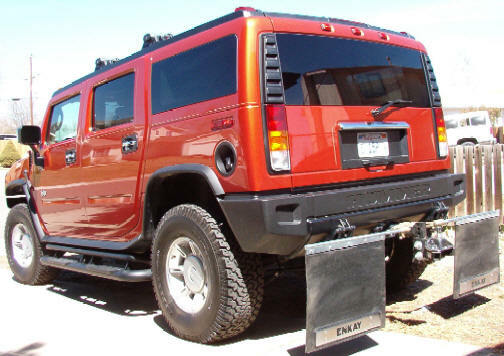 I'm used them on Hummers and tall Dodge Trucks to the lowered SS Silverado. 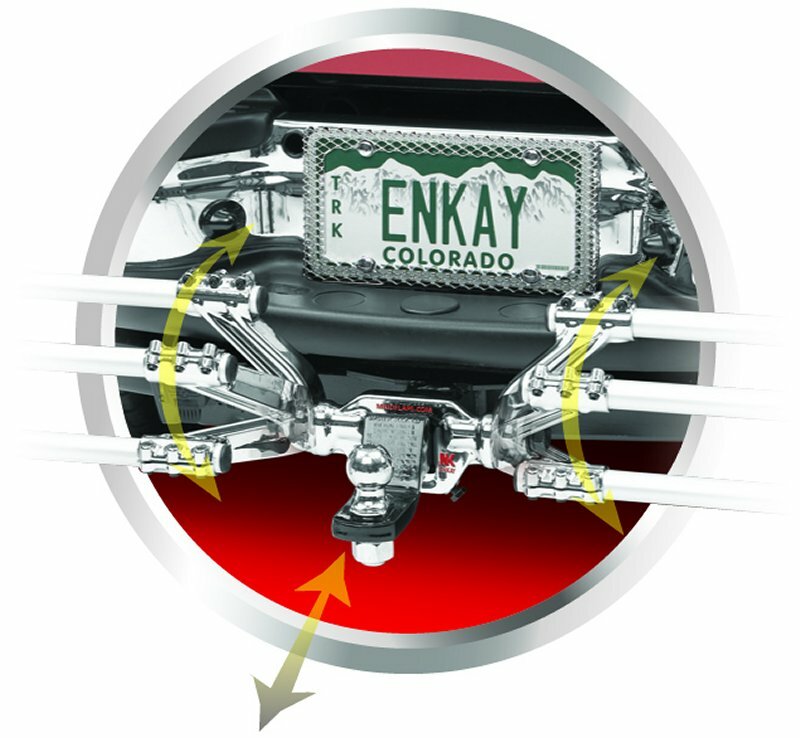 Protect your trailer, protect that expensive boat, protect your trailer wiring harness. 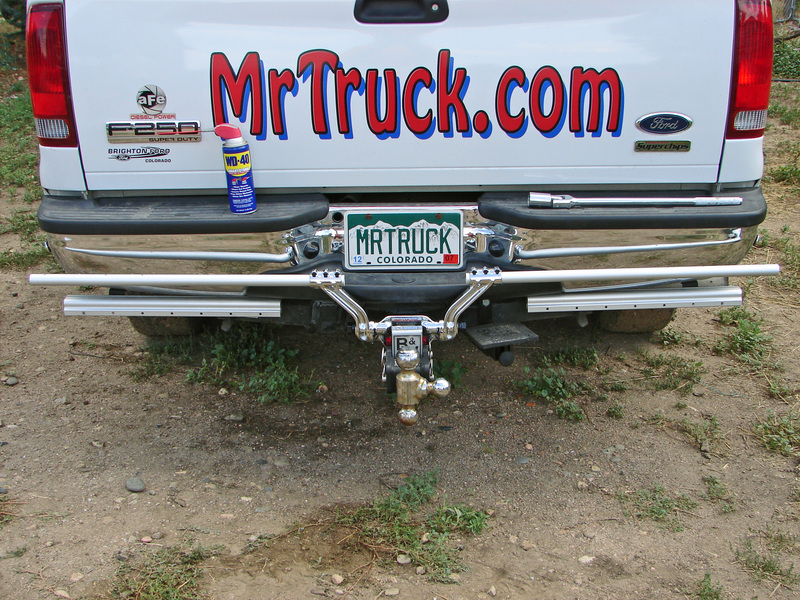 It's a cheap investment for your trailers paint job, and it's future resale value. 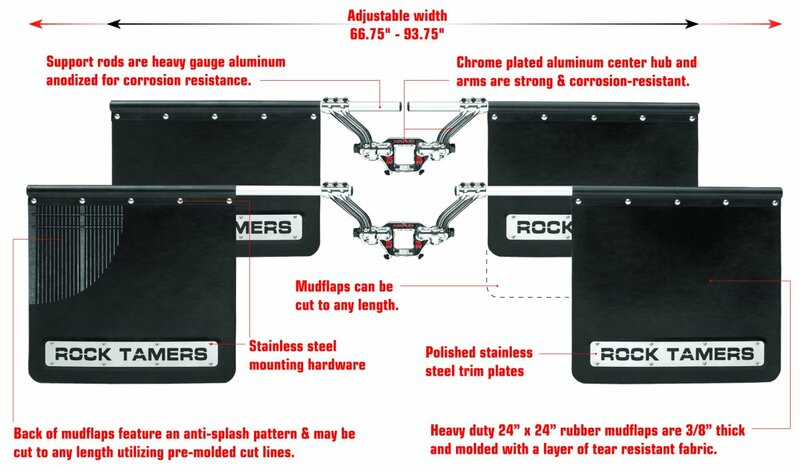 The folks at ENKAY are selling these "Rock Tamers," cheaper than I would. 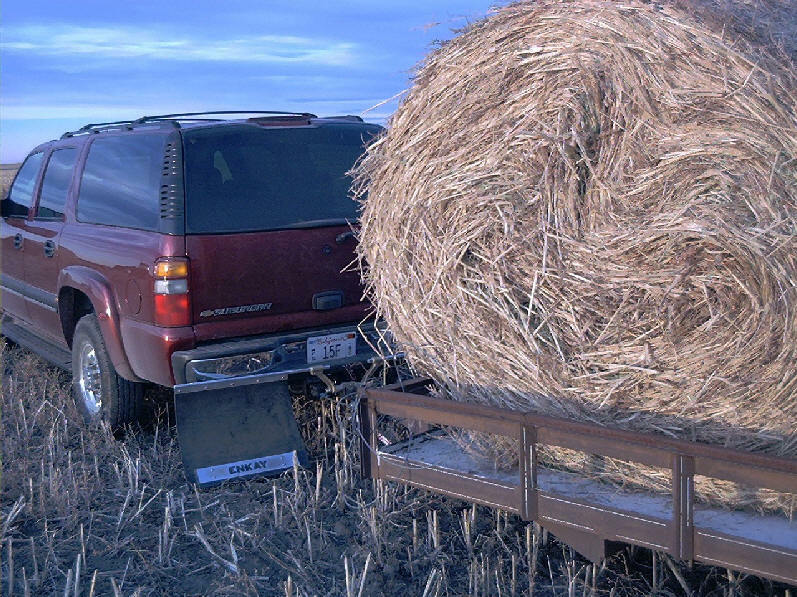 You'll know what I mean when you slide them on your truck! 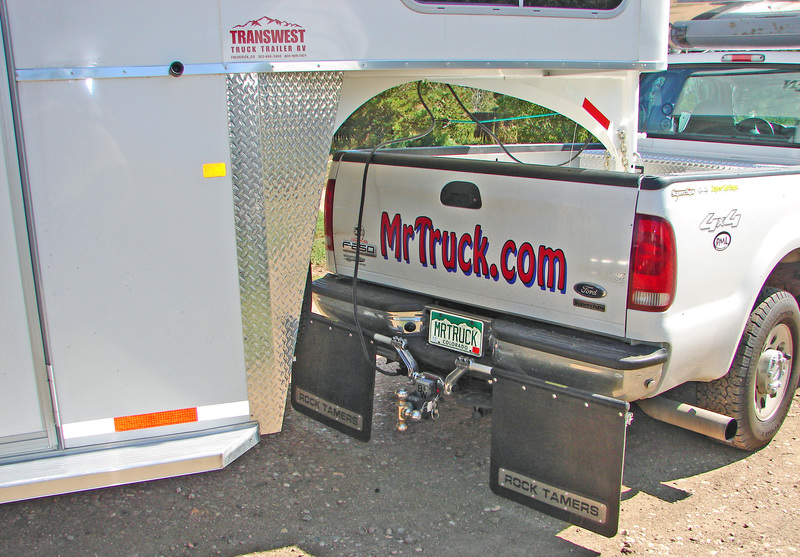 Protect that trailer from your truck, Click Below and get those mudflaps now, unless you like painting your trailer every year! 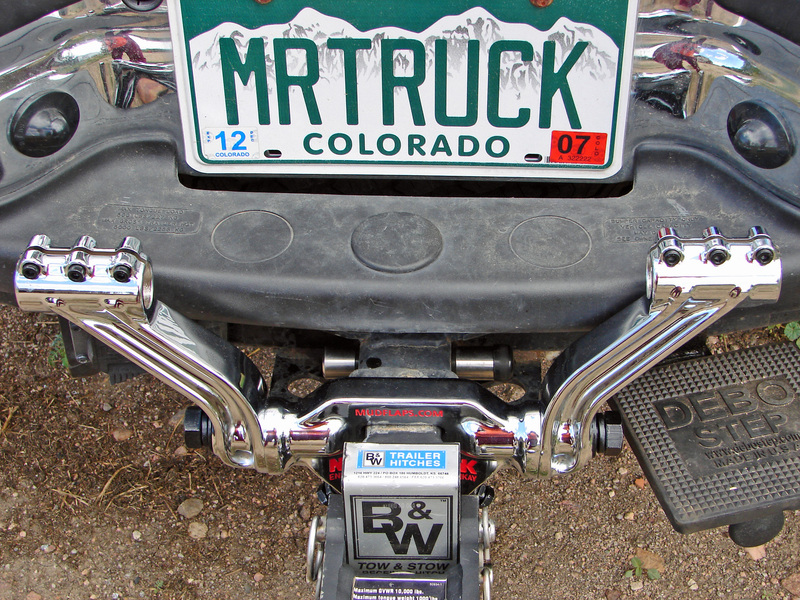 Tell them "MrTruck" sent you. 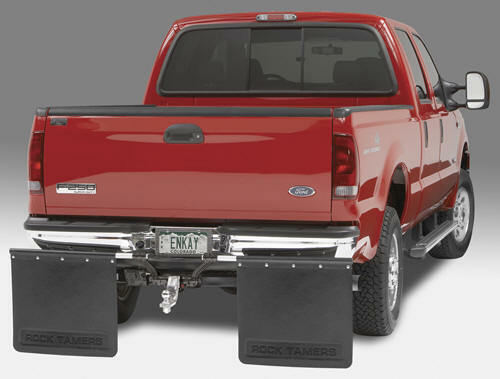 For my truck and SUV articles, I use ENKAY's "Rock Tamers." Each vehicle I review is a little different, this 2003 Chevy Suburban Quadrasteer's rear axle is wider by 3 1/2 inches than the front. 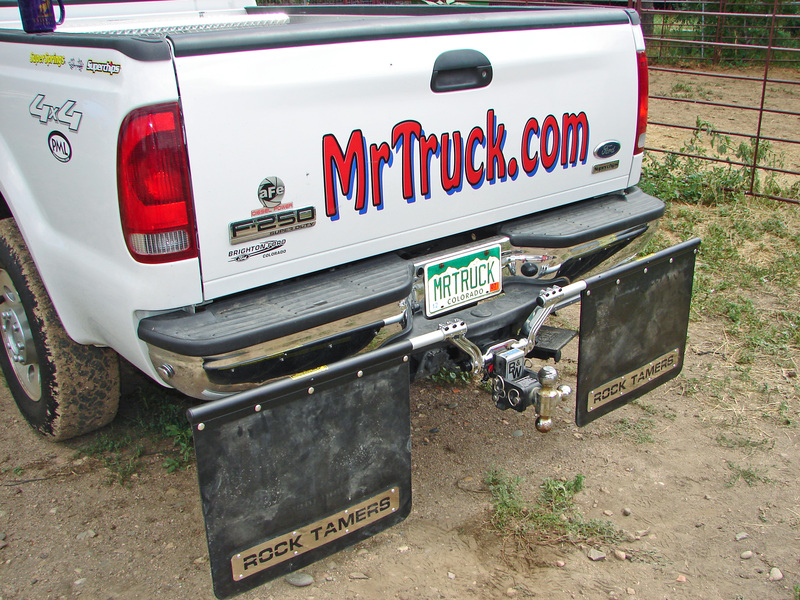 No problem for the "Rock Tamer" mudflap, they will adjust to fit any of your towing vehicles. Click on the picture to enlarge and then click the back button to return. 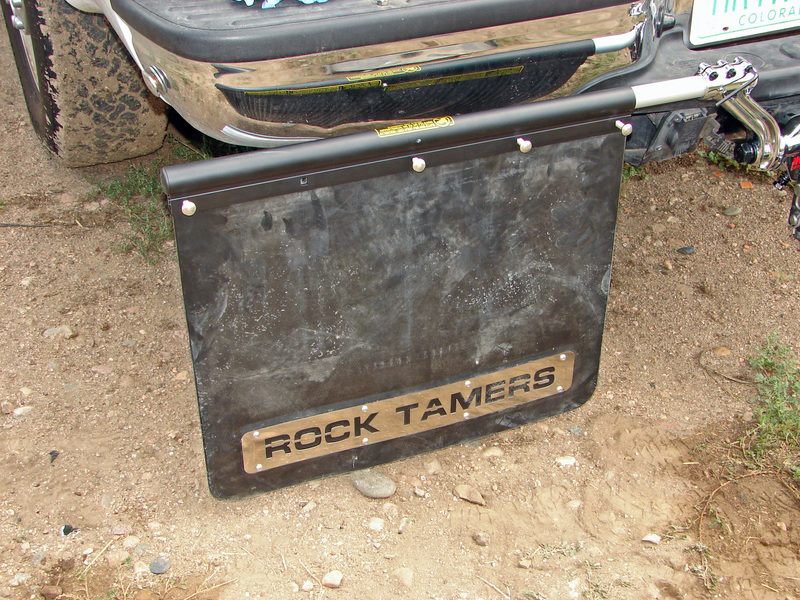 Sagebrush and cornstalks couldn't hurt these Heavy Duty 24" x 24" mudflaps.